Business Game Board Monopoly is free dice game 2019. Enjoy your business by sell and buy Properties like builds houses, acquire monopolies, make deals, win auctions and jail. The main important of the "monopoly business game in board" is to learn business and trade, by ac and selling of properties. 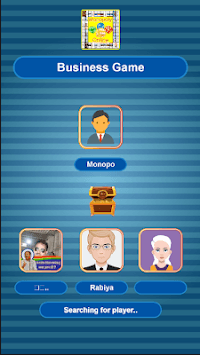 By playing Business board game monopoly player earn money and become wealthiest. Classic family board game beloved by people of all ages. It’s a game of luck, strategy, and people skills.It is also known as Business Card Game. There are quite a few versions of Monopoly played around the world. 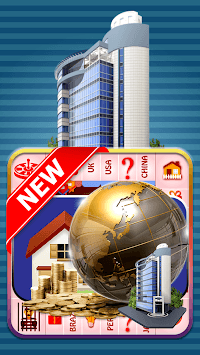 - Earn more cash by building Houses/Hotels. The player who owns properties has a monopoly which allowed to build houses and increase the rent. During playing this game, players experience ups and downs, rewards, losses and penalties etc. 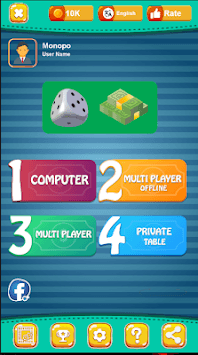 When player roll dice and lands on space which not already owned, he may buy it from bank otherwise he has to pay rent to the owner of that place or site. Rents are greatly increased by erection of house and hotels. During financial crises, properties can be mortgaged to the bank. You will love "Business Game Board Monopoly".If you like our game game of Monopoly or Business, Rate and let us know what you feel in the Review Section! Your opinions matter and we will update the game accordingly.